Come along and see the fascinating show of all ages of Rolls Royce cars on the lawn of the house, on this special car club day. You can enjoy a Devonshire Tea on the verandah, inspect the house, and wander around the beautiful grounds. You can also bring your own picnic if you wish, or purchase a Devonshire Tea or sandwich on the verandah. For refreshment prices, please click here. 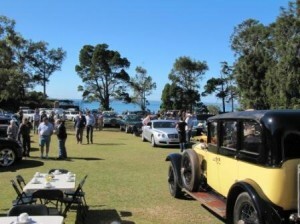 The wonderful position of Ormiston house with its wide sweeping front lawn overlooking Moreton Bay has gained it a reputation as one of the best venues for concours in Australia. Please note: While the cars are available for viewing from 10.30 am to 2.30 pm, the gates remain open until 4.00 pm. For any queries, please contact us.